Michael Flynn, President Donald Trump’s national security adviser, has resigned over his contacts with Russia, the White House has announced. He is alleged to have discussed US sanctions with the Russian ambassador before Donald Trump took office. Michael Flynn is said to have misled officials about the conversation. Earlier, media reported that the DoJ had warned the White House about the contacts late last month. They said that Michael Flynn might be vulnerable to Russian blackmail. It is illegal for private citizens to conduct US diplomacy, and the calls happened late last year before Michael Flynn was appointed to the administration. A number of senior Democrats had called for Michael Flynn to be fired. The national security adviser is appointed by the president to serve as his or her chief adviser on international affairs and defense. In his resignation letter, Michael Flynn said he had “inadvertently briefed the vice-president-elect and others with incomplete information regarding my phone calls with the Russian ambassador”. A White House statement said Lt. Gen. Joseph Keith Kellogg had been appointed as interim replacement for the post. Michael Flynn, a retired Army lieutenant general, initially denied having discussed sanctions with Ambassador Sergei Kislyak, and VP Mike Pence publicly denied the allegations on his behalf. However, he came under further pressure on February 13 when details of his phone call emerged in US media, as well as reports the justice department had warned the White House about him misleading senior officials and being vulnerable to Russian blackmail. According to the Washington Post, the message was delivered by then-acting attorney general Sally Yates, who was subsequently dismissed by President Trump for opposing his controversial travel ban. 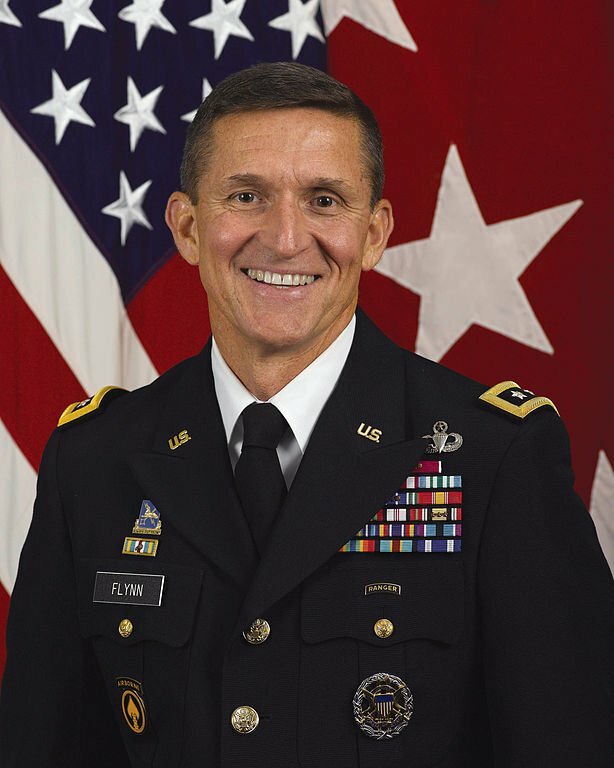 Michael Flynn, who was previously fired by Barack Obama as head of the Defense Intelligence Agency, was an ardent supporter of Donald Trump during the campaign. He became a close ally of both the president and his chief strategist, Steve Bannon. Michael Flynn encouraged tougher policies on Iran and a softer policy on Russia, but questions were raised about his perceived closeness to Moscow.